If you have an overgrown property or land affected by storm damage, our team can perform full site clearances to leave your outdoor spaces prepared for the next level of development or replanting. All dead wood is removed from site and throughout our clearance projects, we pay careful attention to the welfare of wildlife and animal species that are native to the land we work on. At Elite Tree Services, we undertake tree surgery and arboriculture projects to BS 3998 standards. Our customers are assured of a safe and responsive service where our workmanship is unconditionally guaranteed. We have the skills and the confidence to deliver on our promises every time we work on your behalf. Elite Tree Services professional team has more than a quarter of a century of combined tree surgery experience. projects to BS 3998 standards.We are CIS-registered and we carry £10m worth of Public Liability Insurance cover. Elite Tree Services was formed over 15 years ago and has grown steadily over the years. Nearly all our work now comes from personal recommendation from passed clients. 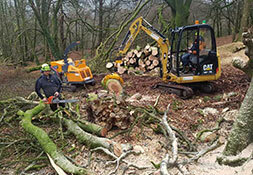 Over our 15 years we have amassed a vast experience of handling all tree management requirements. Elite Tree Services prices are very competitive, allowing you to enjoy all the benefits of a professional, reliable and efficient service with a price tag that will not break the bank. Although our pricing remains competitive, we will not compromise on quality or service.